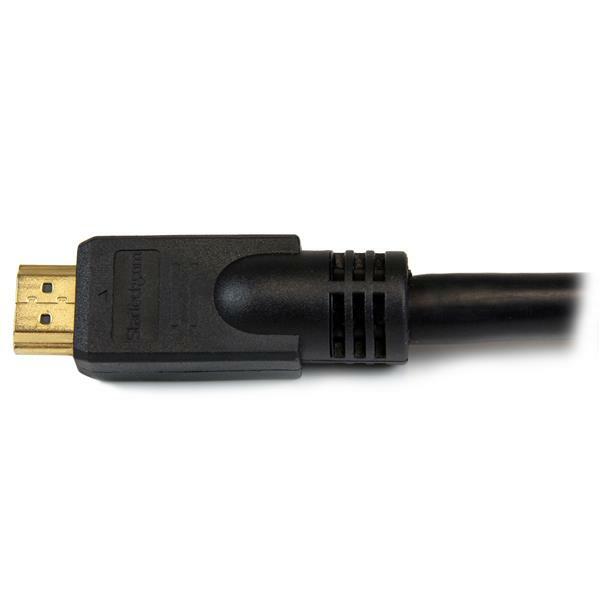 High Speed HDMI Cable M/M - 4K @ 30Hz - No Signal Booster Required - 45 ft. 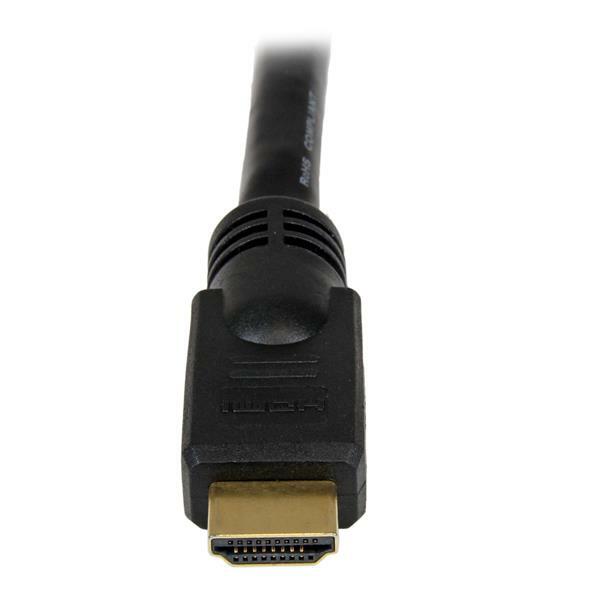 This HDMI cable lets you connect your Ultra HD devices at distances of up to 45 feet, with no external power or active circuitry. 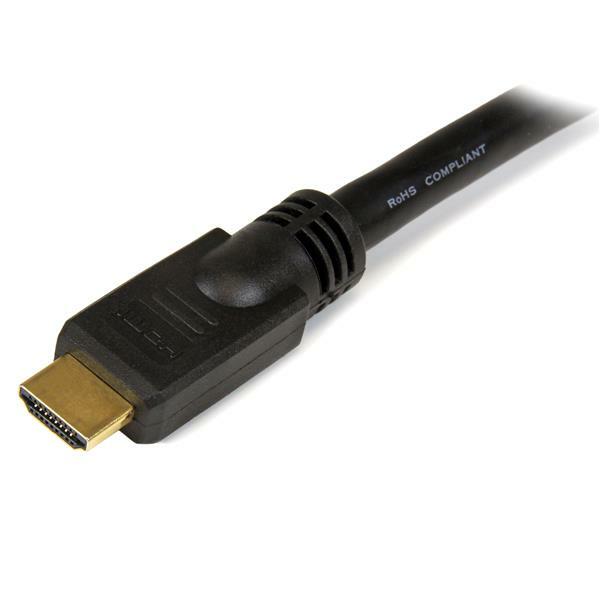 The cable fully supports 1080p+ resolutions at up to 120Hz refresh rate, with life-like color. To accommodate the demands of future high-definition devices, such as increased resolutions and higher frame rates, this Ultra HD cable supports resolutions up to 4K x 2K. The cable combines crystal-clear image resolutions with high-bandwidth video and multi-channel digital audio into a single cable. The HDMM45 from StarTech.com is backed by a lifetime warranty for guaranteed reliability. Connect high-definition A/V devices such as streaming media players, Blu-Ray Disc™ players, HDTVs, DVD Players, DVRs, game consoles, projectors etc. 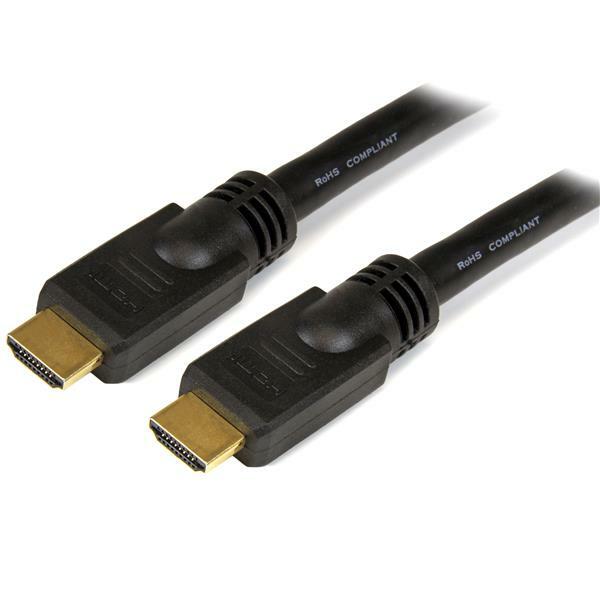 High Speed HDMI Cable M/M - 4K @ 30Hz - No Signal Booster Required - 40 ft.